Curry dishes come in many forms and are very common in India as well as in several Southeast Asian countries. Curry powders are typically used in Indian dishes, whereas curry pastes are more Thai, and the two really are not interchangeable when it comes to cooking with a recipe. 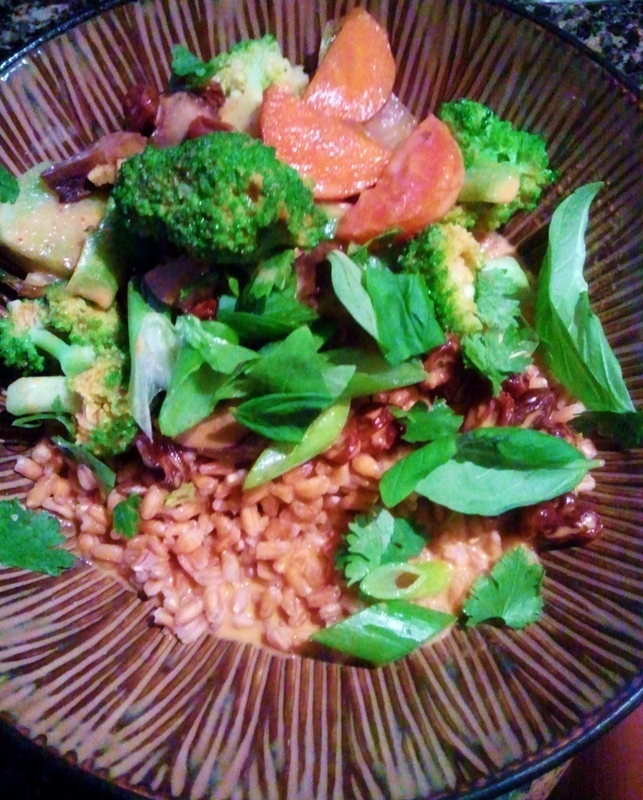 My favorite curry dish is Thai coconut curry. 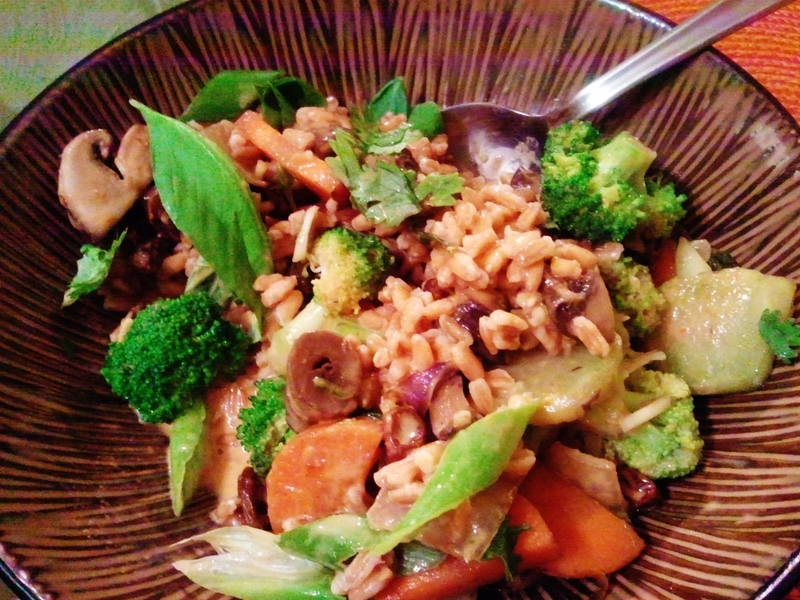 The rich and creamy sauce goes so nicely with a bowl of rice and vegetables. This dish also has some spice to help round it out perfectly. 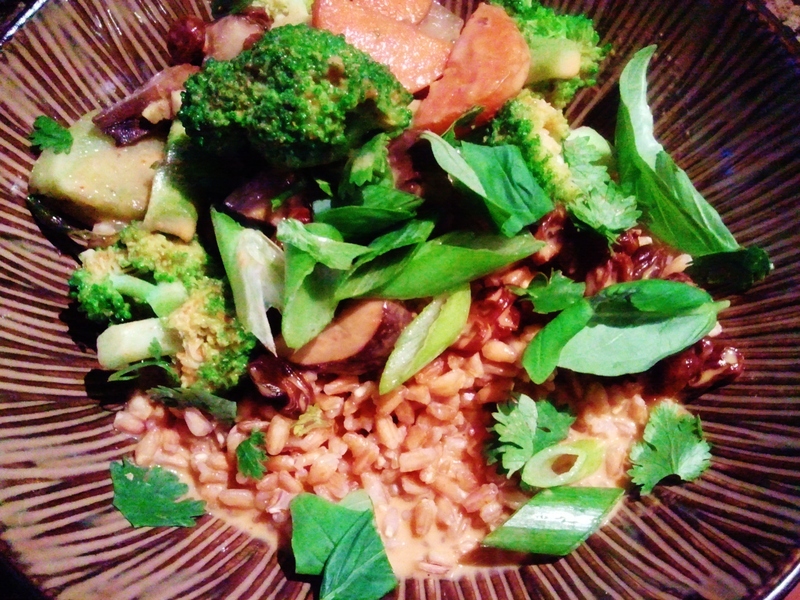 Tonight I made a little coconut curry myself, using red curry paste and making a couple changes to the traditional recipe to boost this dishes nutritional profile. 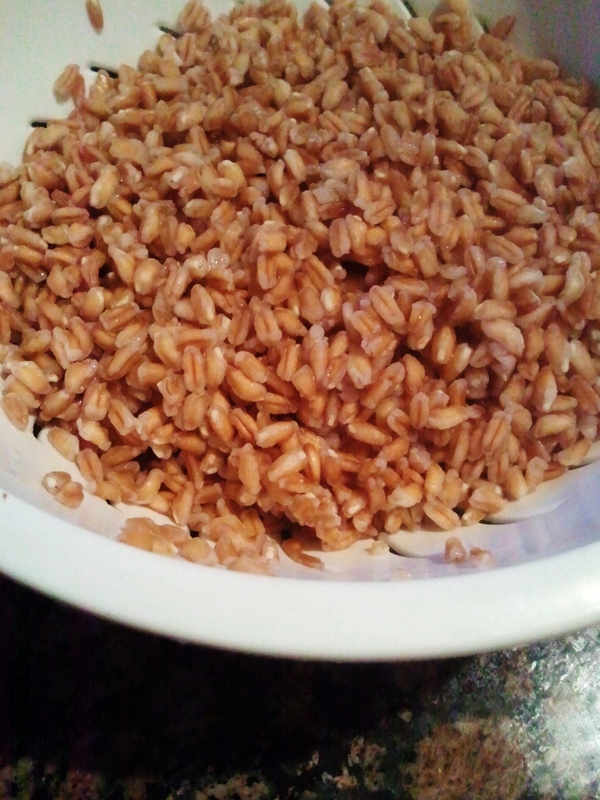 Combine Farro with 3 cups water and bring to boil over medium-high heat. Reduce heat to medium and gentley boil for 12-15 minutes until grain is al dente (cooked through, but still has a little bite). Drain and set aside. Typically, this dish would be served with something like Jasmine rice, which is fantastic and I recommend trying this recipe with the Jasmine at least once. I chose Farro because it has more protein, fiber and B-vitamins than the Jasmine, and offers a chewy texture and nutty flavor. Heat 1 Tbsp. of oil in skillet over medium heat and saute mixed vegetables for desired texture; add garlic and ginger during the last 2-3 minutes of cooking to prevent burning/overcooking them. Most people don’t appreciate soft, overcooked veggies, and I have to say that keeping them somewhat firm is a must in this dish. Also, overcooking vegetables creates more nutrient loss. Maximize your nutrition from vegetables by lightly steaming, roasting and quick sauteing. Yes, I’m at it again with the specialty items…but it’s oil this time. 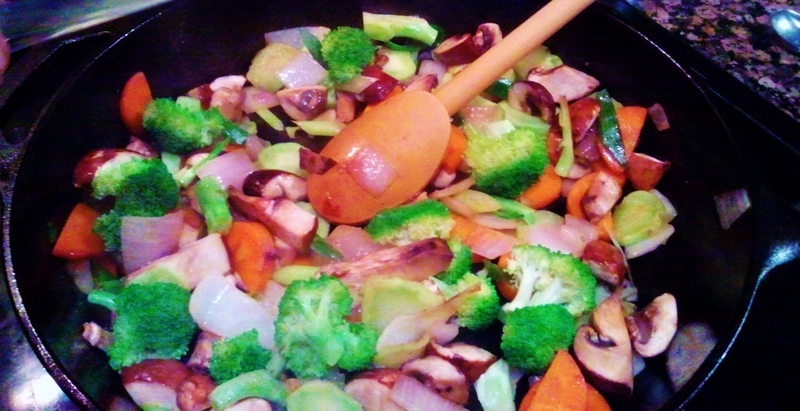 I used a delicious toasted sesame oil to saute my veggies. It goes so well with the Thai theme. While your veggies are cooking, combine the coconut milk, curry paste and raisins in a saucepan over medium heat. 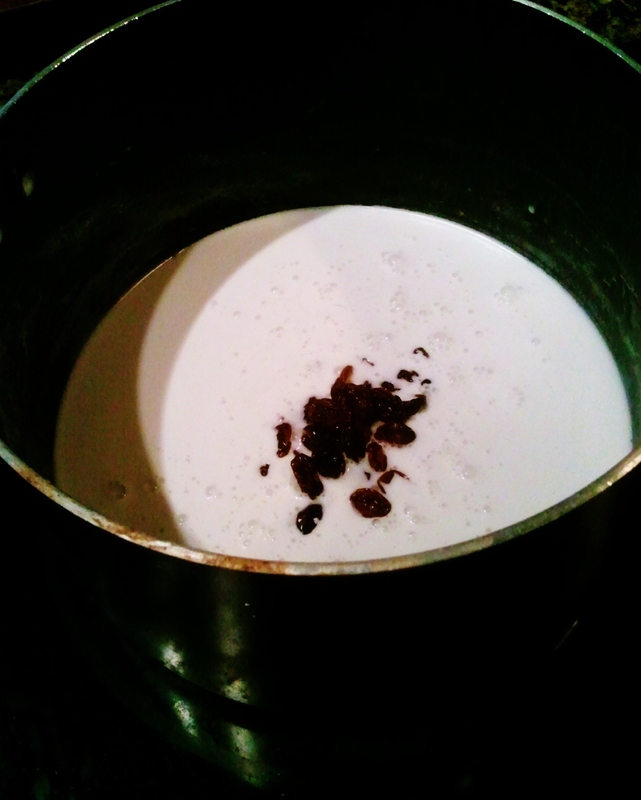 Gently boil this mixture for about 5 minutes, as the milk will burn if it becomes too hot. 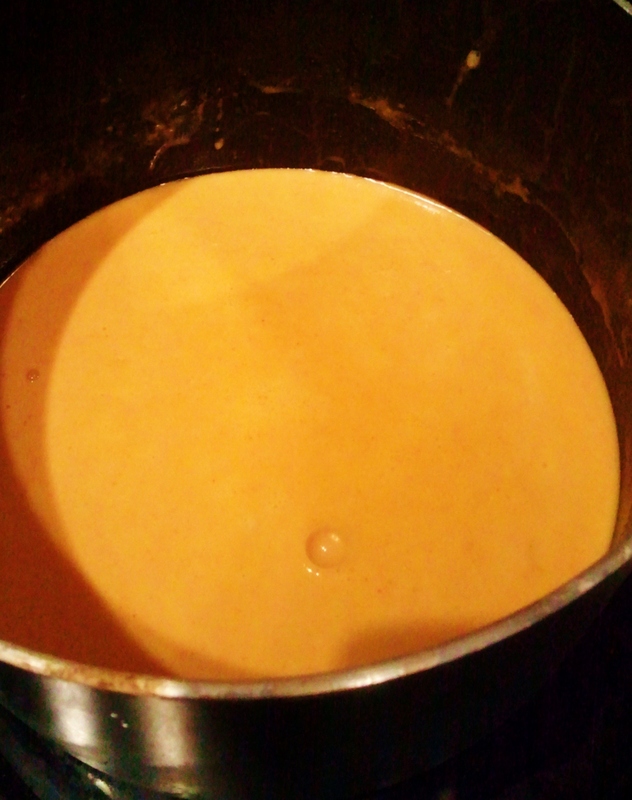 Be sure to constantly stir, completely mixing the curry paste into the milk. Once your coconut concoction becomes a light orange color, turn the heat to low and keep until ready to serve. Curry pastes often have nice spices in them already, such as lemongrass, ginger, chiles and garlic.